Not much time for posting. I'm just lurking those days. Tomorrow that the choirs will leave I'll be back!! Hugs and kisses to all of my beloved girls! Will reply to posts leter or tomorrow. Not sure I'm going to be able to sleep!!! Thank you all for sharing this obsession with me! Fi_Fi~ Yes, coherent thought is close to impossible after an Eclipse viewing. It took me several hours to regain my clear head. Deb~ We've missed you and we'll be very glad to have you back. But, it sounds like your work with the choirs was fantastic, so Well Done!! NewJen~ Actually, around the time that New Moon was released, I remember a story about the White House hosting a special advanced screening for a group of Sasha and Malia's friends. I also remember stories after the election when they were discussing the transition to White House life for the girls and President Obama talking about how they would read together every night and that was something that he planned to continue doing. He mentioned specifically that both girls were in the middle of reading The Saga. I have to guess that he's team Edward. What great dad wouldn't be? Openhome~ I'm with NewJen & Deb. 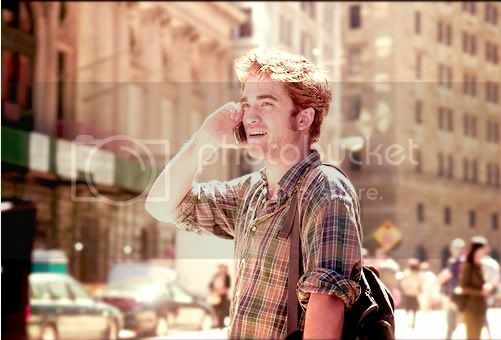 Especially with The Summer House coming out on iTunes in a few weeks, something like Rob's Summer House 2010 seems very fitting. Thanks for checking. Water for Elephants~ Filming is set to wrap mid next week, July 9 I believe. But, over the last few days, they've been doing some important night shoots. 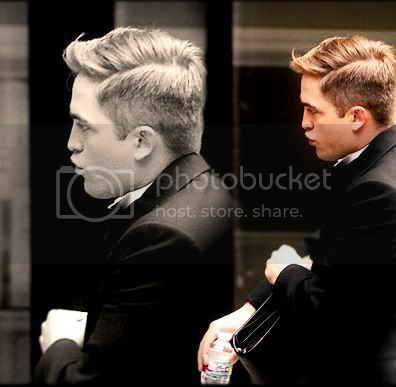 Hence the beautiful TuxRob shots. I thought you all might like to just take a gander at how beautiful he and Reese look together. This movie is going to be downright amazing and I cannot wait to see it on the big screen. Hi, HH!! Happy Independance Day to all you USA Girlies! No time for a mega post today. I have been at a pool party/bbq all day, and I am beat. i'm headed to bed so I can get up and go to the early church service tomorrow and then come home and pack for my trip to South Alabama. I just got some really great news yesterday! A good friend of mine got a great deal on a beach condo for a week during the 3rd week of July! So, for $25 I get to spend 6 more nights on the beach this summer!! Yep. $100 split 4 ways for 6 nights!! Holy Cow!! I'm going to be totally worthless by the time school starts back in August! Night Night, Ya'll! Caryn~ Rob and Reese do look great in those shots! Mel, a 500 person BBQ...why would you do that in the first place... I don't even know 500 people...is it for the 4th of July party? I know most of you girls have plans for today...but who is going to see Eclipse again??? Marielle~ I would love to go see it again, but I have to work tonight I may be able to get in another viewing later this week though! I would definately much prefer the man to the cake!! I don't have any plans this evening...got stuck working, but I am hoping that business is slow and I can scoot out early. o.k. soo today was my 4th viewing of eclipse and i STILL absoloutely love it, i promise i shall be heading on over in a second to see what all of you ladies have been discussing so far. caryn oh yeah i remembered that after i submitted it lol my brain was totally still in awe at eclipse lol. Happy Independence Day to all our American sisters ! I just wanted to stop by to say that ! I have to sit the exam Tuesday, so I'm kinda starting to get nervous. After that I'll be back more, but I'll be enjoying summer break too since the weather is awesome here ATM. 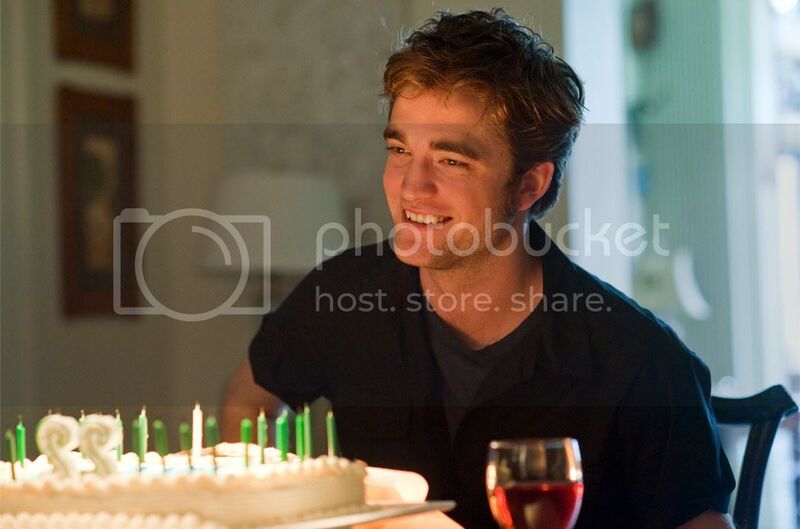 I was so impressed with Rob in Eclipse. And with Kristen and Jackson and all the others. Wow. So great. I'm very much looking forward to seeing it again, and I'll try to fit in a viewing some day this week, the only thing I have to find is someone to go with ! Catch you all later ! the bbq was a function at work. I work in a kitchen and as i'm a trained chef i help out every now and then. I can't work as chef anymore as the hours are terrible so i get the choice of being a chef or being a mummy.... I chose being a mummy. i do miss not doing the cooking anymore but i made my bed so i'm lying in it now. I'm going to have to sit down and watch little ashes soon. I've had the dvd for blooming ages but i've never managed to watch it. I'm nowhere near as clued up or up together with my obsession as the rest of you are.